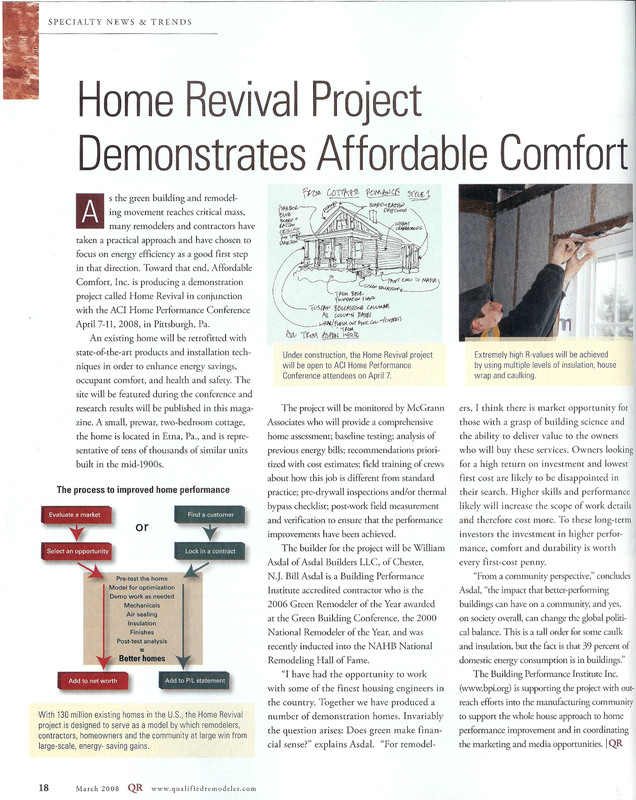 Qualified Remodeler magazine, a division of Cygnus Business Media, Fort Atkinson, WI has been selected to be the official media partner of the Home Revival project. Editor in Chief Patrick O'Toole has a long career of helping remodelers with business solutions. This project carries a professional commitment to contractor education and skills enhancement. Qualified Remodeler will cover the story throughout construction and follow with a full report on completion. Home Revival is proud to embrace the readership of QR.